What does St. Petersburg have in common with over 100 other major metropolitan areas? Budget Dumpster, that's what! Yes, the waste management service known throughout the country for its low rates and the friendliest customer service team is here in St. Petersburg. Any business of any size, small to medium to multinational, can depend on us for timely, efficient, and low-cost waste removal services. Whenever you are ready to get your trash removal service set up and ready to go, just give us a call and we'll be here to get you started! Budget Dumpster is an exceptional waste hauling company, and we're not just tooting our own horn. Our waste removal services for businesses are highly regarded throughout the country. We work with thousands of customers in over 100 major cities across 44 states every week. The sum of our experiences with all of those customers equals a lifetime of knowledge and customer service that cannot be matched by another hauler. So if you want to work with a company that has experience beyond its years give us a ring and we'll take care of your trash fast. What's the Commercial Dumpster Ordering Process Like? 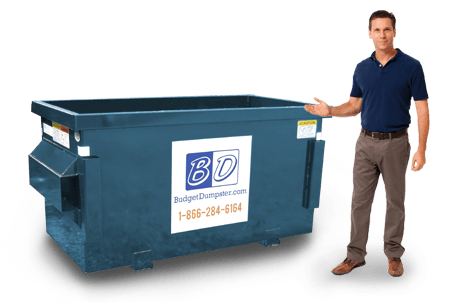 You're in capable hands when you rent with Budget Dumpster. We've got an expert staff of customer service reps that handle not only the dumpster rental side of things, but also our expanding commercial service. 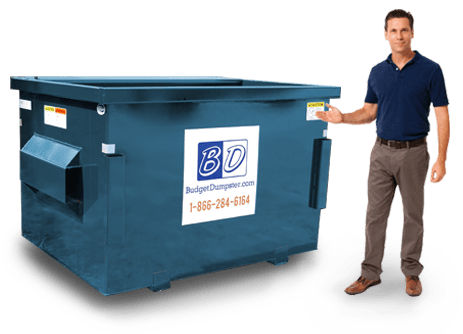 They can get you set up in a matter of minutes with a great low rate on a one-year contract for a dumpster. Our employees ask you about the general size of your business and your current waste output to help us determine just which one of our four sizes is going to work best for you. 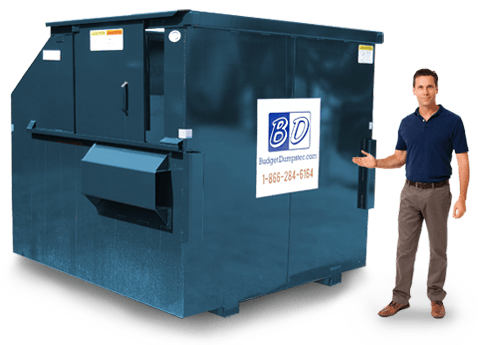 Whether you're tired of your current provider or newly-in-need of commercial waste removal, call us to experience the Budget Dumpster Difference. Our 6 yarders and our 8 yarders both come with sliding doors on them. This is to help you get some of that bulkier refuse into the container without any hassle. It also serves as a means to easily even out the refuse inside of the dumpster to make sure it is all spread evenly. These units are also taller than the 4 yarder and the 2 yarder, so it might be tougher to toss refuse over the walls. This is another way the doors come in handy with these larger units. If you're unsure about whether you are going to need a dumpster with a door or not, just let us know. Every waste removal situation is different, so we want to make sure the service we provide is catered to you. Your happiness is our top priority at Budget Dumpster. We strive every day to be a better company than we were the day before. We're open five days a week to help you with any of your waste removal needs, whether that's with commercial dumpsters or roll-off rentals. Just let our service rep know the situation and they'll take care of the rest. 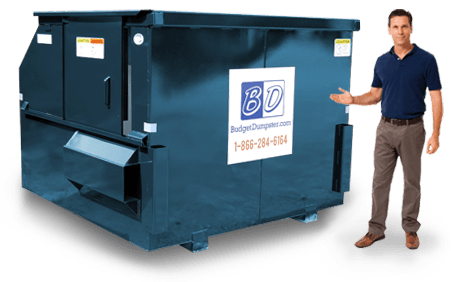 There's no hassle or headache when you choose Budget Dumpster in St. Petersburg.